Create Elementary OS USB Drive. This is a step by step guide to creating a live Elementary OS USB drive which will work on computers with a standard BIOS or UEFI. Elementary OS is a Linux distribution aimed as a drop-in replacement for Windows and OSX. Elementary's unique angle is beauty. Every part of Elementary OS has been designed and developed to make the user experience as stylish as it can be. The applications have been carefully chosen and blend in perfectly with the desktop environment making the interfaces look clean, simple and pleasing to the eye. If you just want to get on with using your computer and don't want all the bloat that comes with Windows, give it a try. Will the Elementary OS Live USB Break My Computer? The live USB drive is designed to run in memory. It will not affect your current operating system in any way whatsoever. To get back to Windows simply reboot your computer and remove the USB drive. How Can I Download Elementary OS? To download Elementary OS visit https://elementary.io/. Scroll down the page until you see the download icon. You may notice the $5, $10, $25 and custom buttons as well. The Elementary developers would like to be paid for their work in order to make it possible for them to continue further development. Paying a price to try something out isn't perhaps something you want to do if you end up not using it in the future. You can download Elementary OS for free. Click Custom and enter 0 and click outside of the box. Now press the Download button. Choose either the 32-bit or 64-bit version. The file will now start to download. The software which you will use to create a live Elementary OS USB drive is called Rufus. 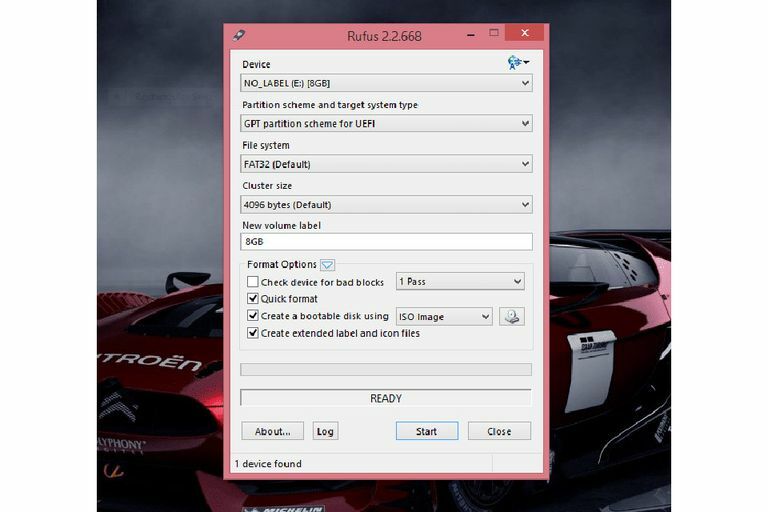 Rufus is a small application which can "burn" ISO images to USB drives and make them bootable on both BIOS and UEFI based machines. Follow our How to Burn an ISO File to a USB Drive tutorial for help getting that Elementary OS ISO image properly "burned" to a flash drive. The process is pretty simple. Once complete, you will be able to boot into a live version of Elementary OS. If you are using Windows 10 or Windows 8 or 8.1 then you may need to follow these steps to be able to boot into the live Elementary OS USB. Right click on the start button (or in the case of Windows 8, the bottom left corner). Scroll down and uncheck the Turn on fast startup option. When the blue UEFI screen loads choose to boot for EFI device.